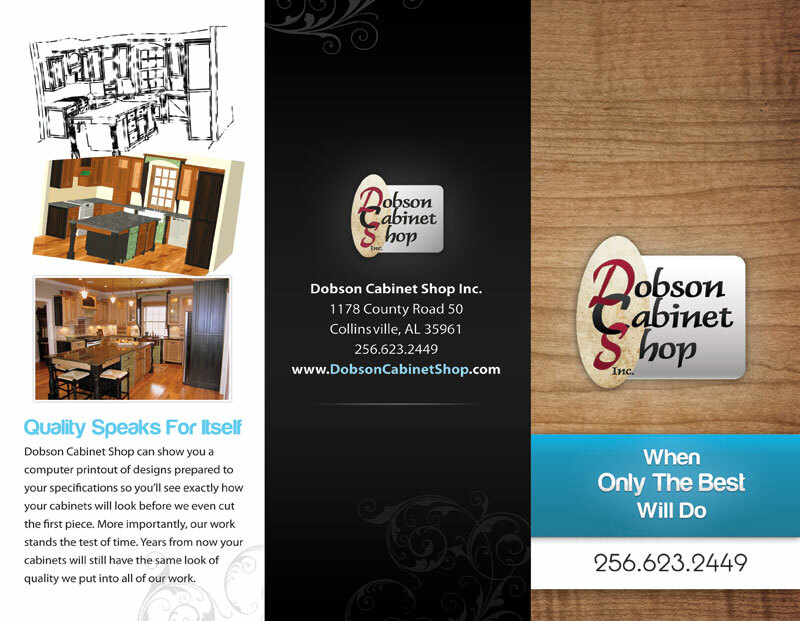 Dobson Cabinets needed a brochure and business cards they could hand out to show that they were more than just a small town woodshop. Dobson Cabinets specializes in making beautiful custom cabinets, and they needed something that not only showed off their work but also had that same inviting feel. The front of Dobson Cabinets' brochure. 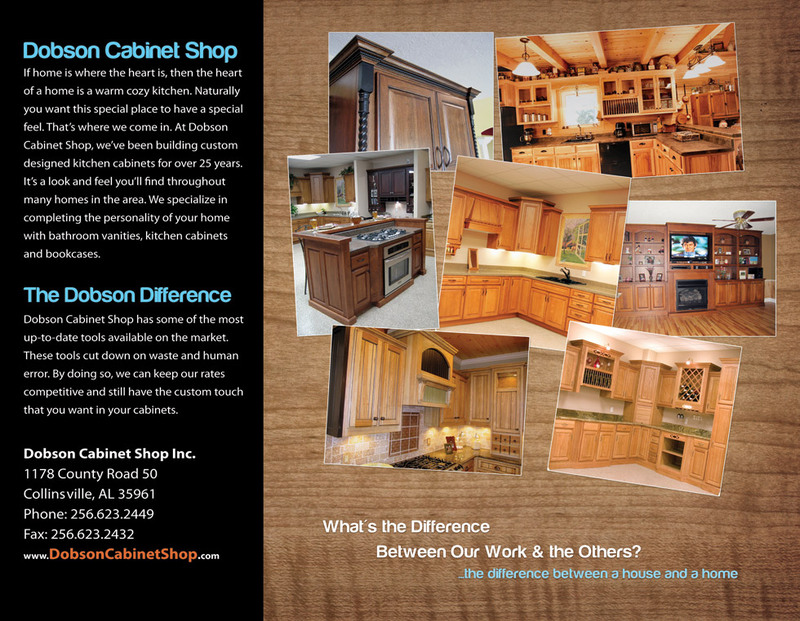 The inside of Dobson Cabinets' brochure. 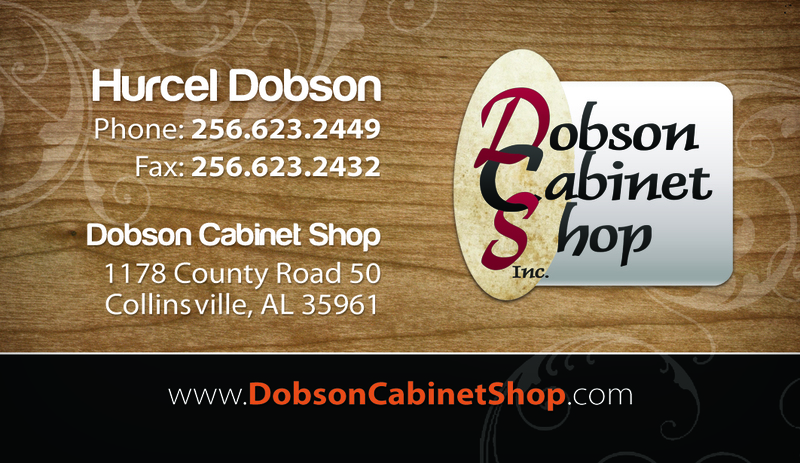 The front of Dobson Cabinets' business card. 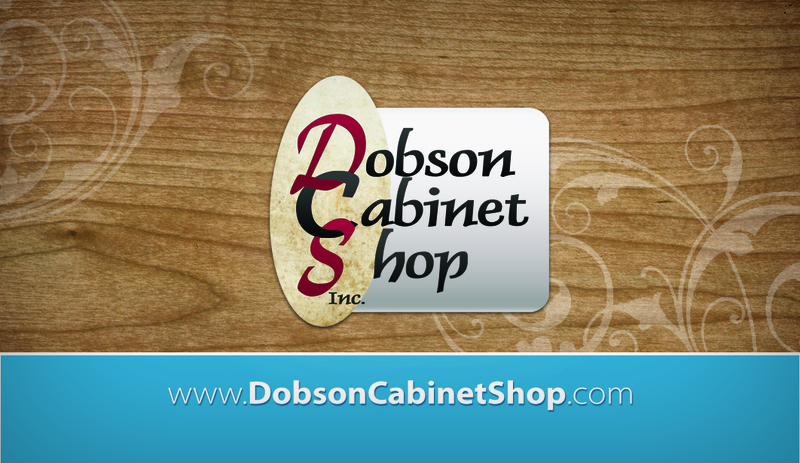 The back of Dobson Cabinets' business card.